Round sling is made by the high quality material of synthetic fibre which is very compact design. we can manufacture different styles for round slings.with range from 0.5t-1200t. 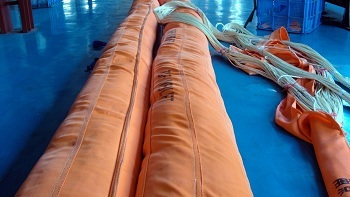 RH round slings are made with high tension yam,its weight is just a quarter of the regular sling and its diameter is just half of regular sling. Note:7:1&6:1 safety factor is available.